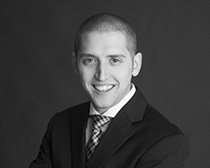 Garrett focuses his practice on corporate and commercial litigation in the Delaware Court of Chancery, particularly cases relating to M&A transactions, contractual disputes, statutory appraisal, alleged breaches of fiduciary duties, and other issues arising from the Delaware General Corporation Law. Before joining the firm, Garrett served as a law clerk for Chief Justice Leo E. Strine, Jr. in the Delaware Supreme Court. Following his clerkship, he practiced at Skadden, Arps, Slate, Meagher & Flom LLP, where he represented corporations, private equity funds, and investment banks in corporate and securities litigation in the Court of Chancery and various federal courts.